Are you planning a congress, employee training, company's presentation, workshop or an important business meeting? Are you looking for conference facilities that are representative and for a good price? Our hotel near the Prague Václav Havel Airport offers rental of conference facilities, that are suitable for any of your planned company events. You can use a modernly equipped conference hall with capacity of 30 people and classrooms that can comfortably fit 20 people. There is also a projection equipment, projection screen and interactive whiteboard at your disposal, as well as a fast Internet connection. No matter if you are holding a short business presentation for a couple of hours or a workshop for the whole weekend, you can always count on our service. We will provide everything needed, from conference equipment to catering, including coffee breaks. We will be also pleased to accommodate you in modern single up to four-bed rooms, that are air-conditioned, with private bathroom with toilet and shower, equipped with stylish furniture, LCD TV, WIFI connection and phone. There is also a hotel gym at your disposal. Your workshop, congress or training guests will be thus taken good care of. Besides the conference facilities and rooms for accommodation the hotel also has a restaurant with capacity of 60 places and an outdoor terrace, that is suitable for hosting corporate parties or celebrations and receptions. For a closed society there is also a small lounge with capacity of 8 people. A great advantage of our conference facilities is the location of the hotel. 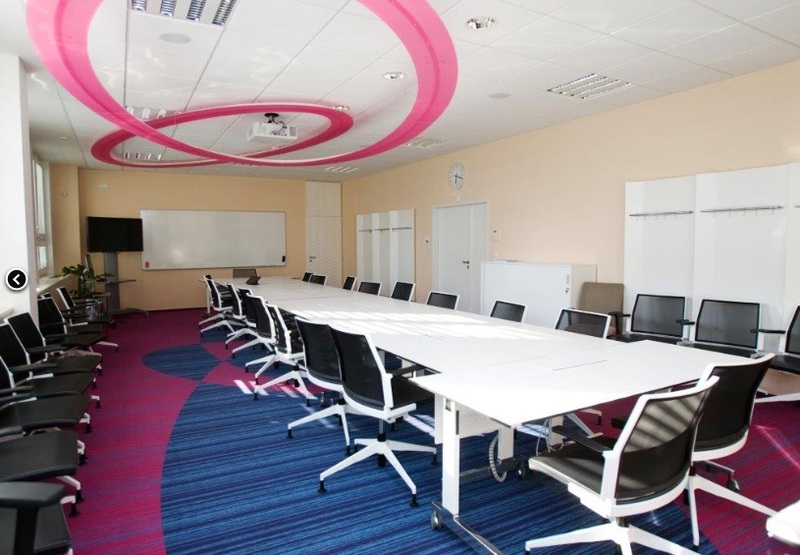 Rental of conference facilities near the Václav Havel Airport (Prague - Ruzyně) will thus come in handy also in the case that the guests of your event will arrive from abroad.